Olito’s sire, Malito de Reve, is one of the top 50 WBFSH showjumping sires and sired the #4 showjumper in the world for 2017, BWP mare Gancia de Muze. Malito was awarded the prestigious Ambassador status by the BWP Studbook in 2016. Having the 2006 World Champion Cumano as his sire and being out of Muguet du Manoir, who competed at international level herself, Malito de Reve’s resounding success as a sire comes as no surprise. 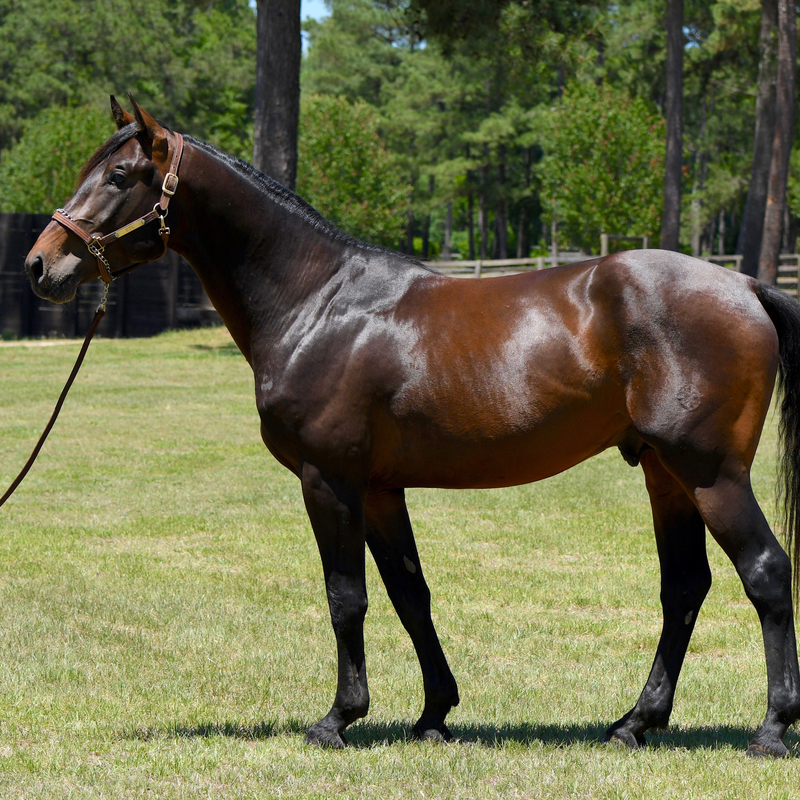 Due to his undeniable qualities as a sire, Malito debuted in the WBFSH sire rankings at #49. He has internationally successful progeny at the highest level include; Estoy Aqui de Muze (1.60m Kevin Staut), Everlychin de la Pomme (1.60m Shane Sweetnam), Empire van Wuitenshof (1.60m Eugenio Garza Perez), Farao of Heritage (1.60m Emanuele Gaudiano), Fidux (1.60m Eduardo Aznar), Gancia de Muze (1.60m Niels Bruynseels), and of course the sensational Grand Cru van de Rozenberg (1.60m Rio Olympics Jerome Guery) and he is half-brother to Clem McMahon’s Pacino. Olito’s dam, Fraulein ETC, has classic breeding sired by Burggraaf out of a Corrado I mare. Beautifully balanced and athletic, her movement has wonderful suspension, and her stride is big, her attitude is bold. Fraulein earned the E Label predicate for BWP during her mare inspection in 2013. She was consistently in the ribbons in six year old young jumper classes and is doing the same at 1.30 and in seven year old classes.